October is a great month for Horror! It’s October! And even though the official first day of fall was September 22, the start of October brings the familiar sights and smells of a few of my favorite things… pumpkin spice lattes, boots, sweaters, corn mazes, harvest festivals, Halloween candy, and HORROR MOVIES! 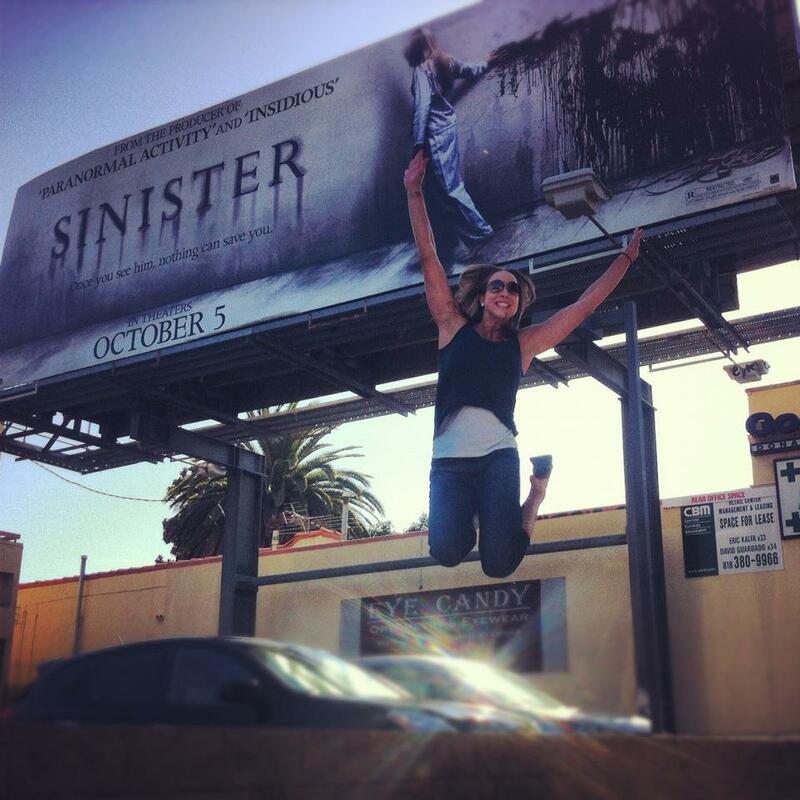 The jumping picture above was taken in Los Angeles, CA in 2012 – promoting a film that Scott co-wrote and directed called SINISTER. Rent it this Halloween if you haven’t seen it! Scott and I have regularly scheduled “horror nights” and I attribute much of my Top 25 Horror Film list to movies that he has introduced me to (I Saw the Devil is still haunting me a year later). Happy Fall! Happy October! Happy Horror watching!